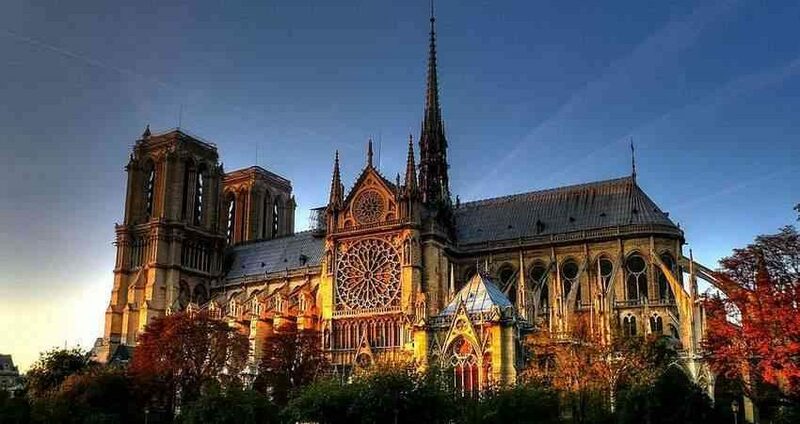 A pleasant impression is caused by the contrast between the cathedral’s height and width. Notre Dame is slender, tall, much taller than wide. However, its width is sufficient to make the edifice look solid. This entry was posted in Medieval Architecture, Middle Ages and tagged aspiration, beauty, cathedral, Catholic Church, dream, faith by Plinio Corrêa de Oliveira. Bookmark the permalink.